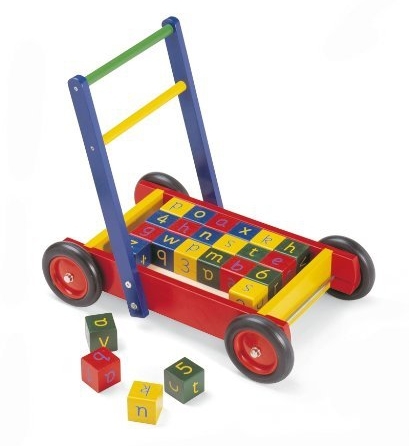 ﻿﻿Pintoy Baby Walker with Alphabet Blocks is a sturdy, wooden push along cart containing 24 wooden blocks. The wooden blocks are multi-coloured and feature letters of the alphabet, in both upper and lower case. This baby walker will assist those first steps, whilst also supporting early letter recognition and hand-eye co-ordination skills.